I recently had the opportunity to spend nearly two weeks in Mumbai India. I was asked to help out with a photography workshop put on by Visual Reportage Workshops. I found Mumbai to be an exciting place filled with generous people, as well as a complete test to all of my senses. 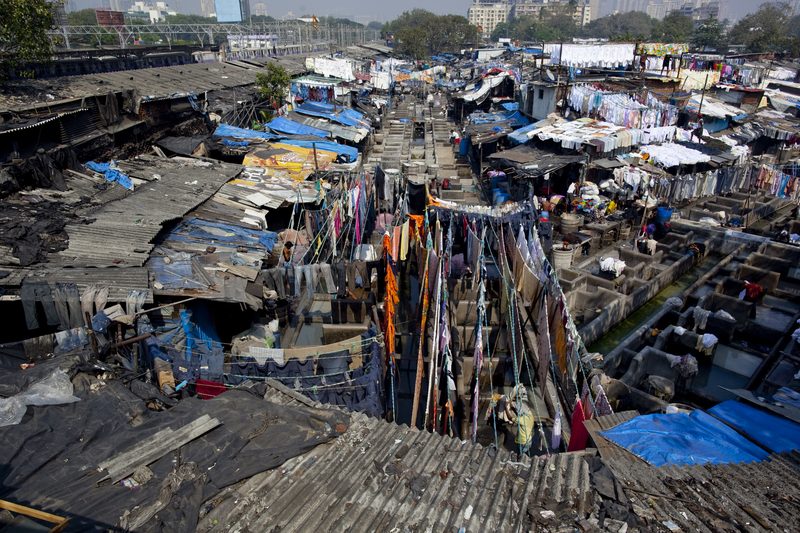 Dharavi is known at the largest slum in the continent of Asia. It houses and employs well over half of a million people and exports goods all across the world. 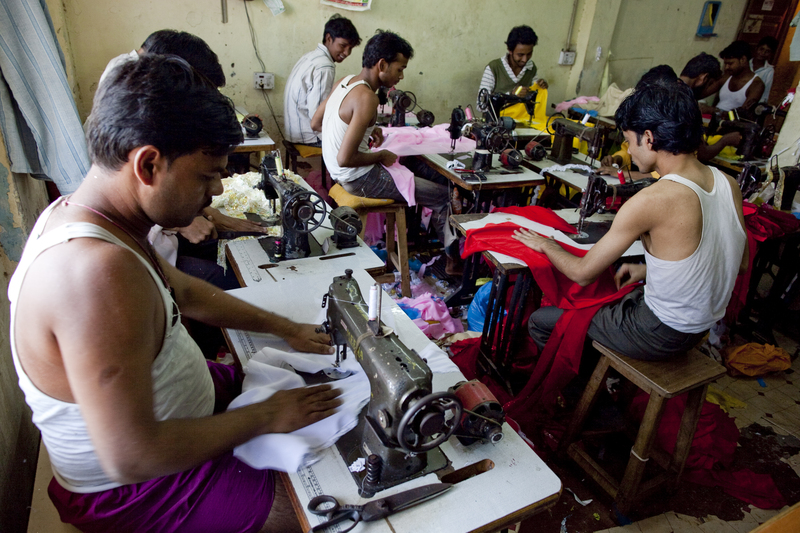 Although both living and working conditions are very grim, the people of Dharavi would prefer this over plans the government has to take over the land. 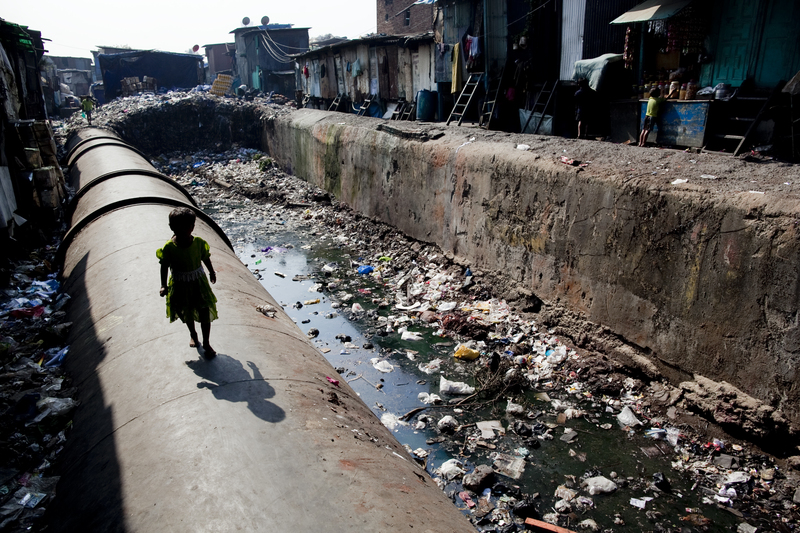 A girl walks along a water pipeline in Dharavi. 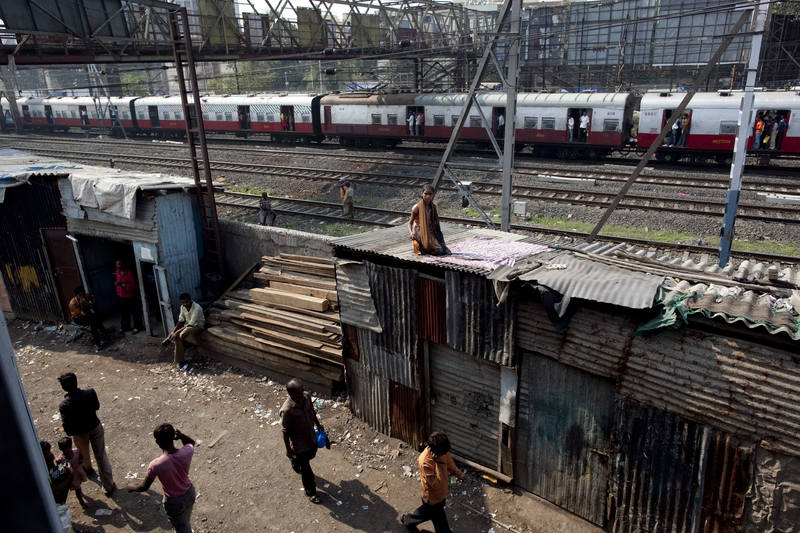 Tin structures along the railroad tracks provide housing for many in Dharavi. 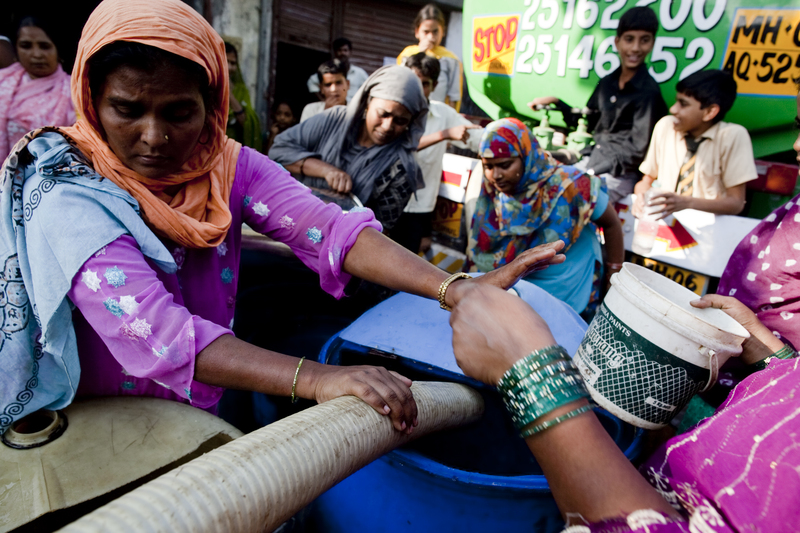 One of the largest issues facing the people of India is the lack of clean water. In many areas running water is not available to the people on a regular basis and water delivery trucks provide clean water once each week. I witnessed people illegally selling small bags of water to those who missed the delivery. 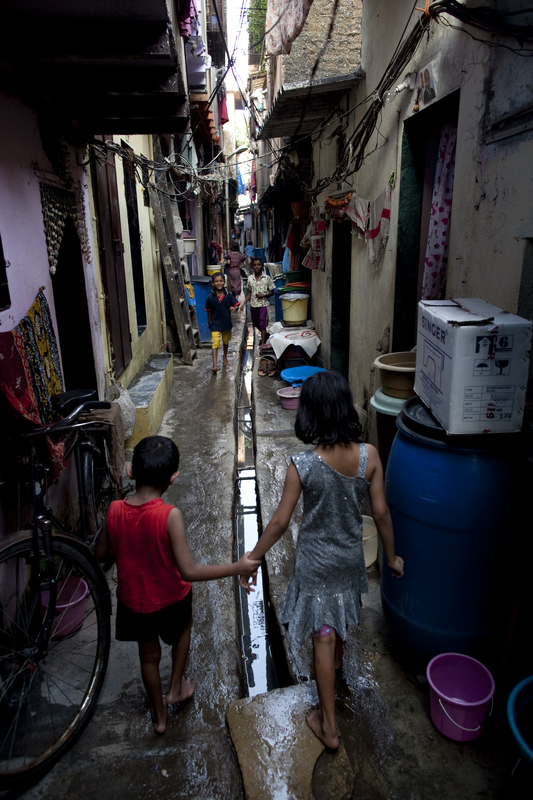 A woman in Dharavi rinses her hand at a leaking pipe. Water delivery in Baigan Wadi. Children walk together in the village of Lokhandemargh. We photographed for a short while at a place called Dhobi Ghats near Mahalaxmi train ststion. 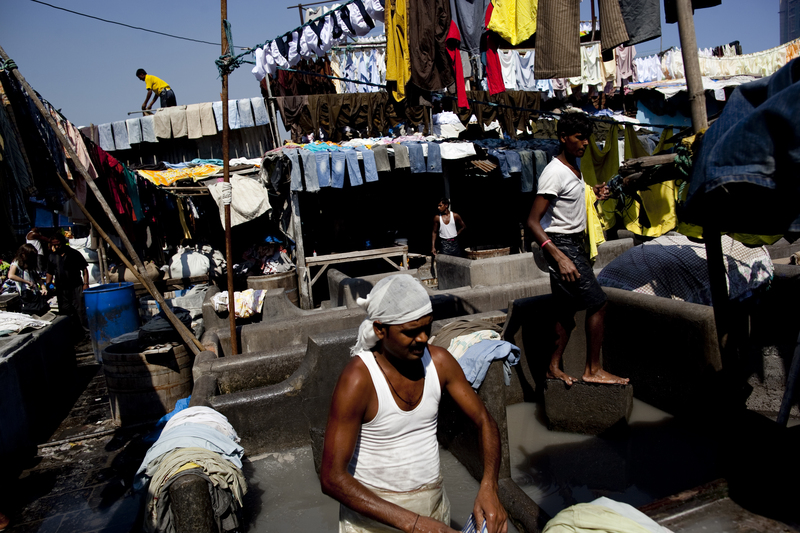 A dhobi is traditionally a laundryman and the ghats are the places where laundry is washed. 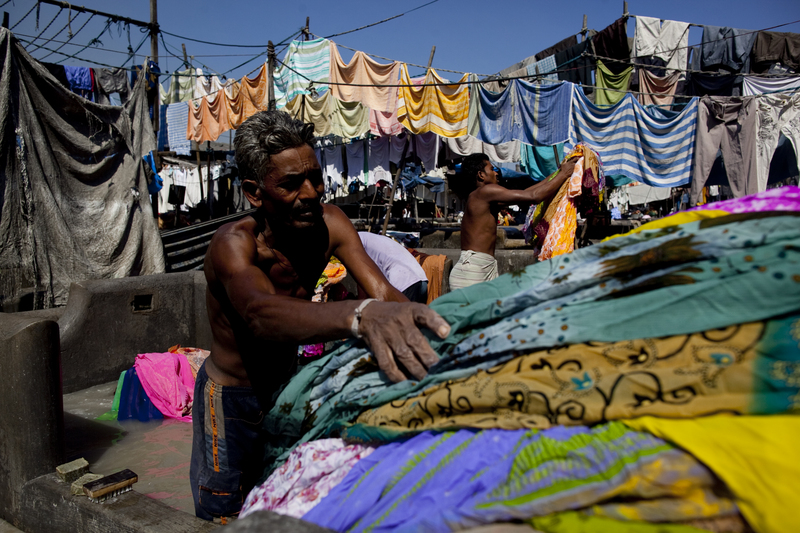 Hundreds of families live and work in this village where laundry is washed from all parts of Mumbai. The feeling you get while walking around the ghat is as if you were inside the worlds biggest washing machine. 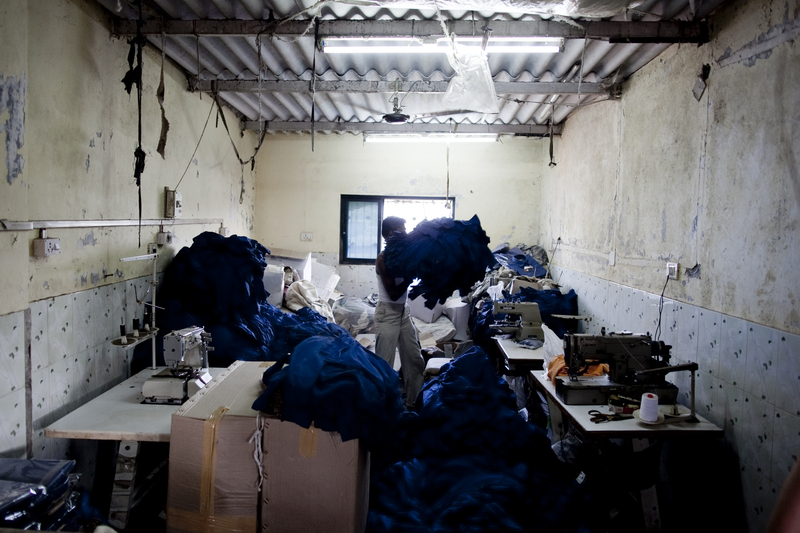 If you know the brands Ecko Unlimited and French Connection, you might be surprised to find that they are being made not by machines, but by the hands of many real people who work tireless hours for little wage. 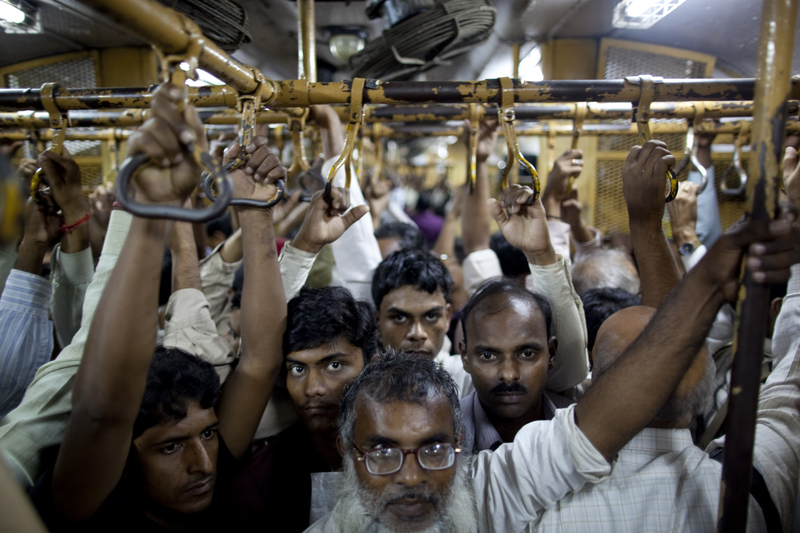 We found that riding the rails in Mumbai takes a special quickness since most trains never actually come to a complete stop. There are cars for men and cars for women. The women will not hesitate pushing you out if accidentally hop in their car. Getting out is even more challenging than getting in and you must prepare many stops ahead and begin making a move. Its a special sort of dance that I am not sure of I could handle on a daily basis. Amazing photos and subject, Nate. Wow!